The Ozark Steam Engine Association is proud to announce that Louie McHaffie has been declared a Director Emeritus. Louie McHaffie is a founding father and charter member of the Ozarks Steam Engine Association who has served as Vice President and Director, was a boiler maker by trade, is someone with a wealth of knowledge on steam engines and is someone who always has time to share a story or two. 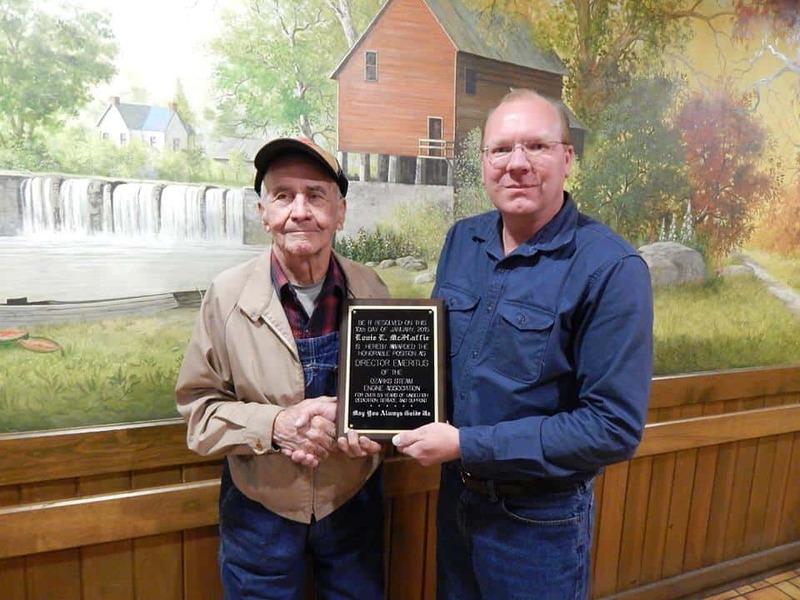 The executives of the Ozarks Steam Engine Association are honored to present this Director Emeritus status award to a well deserving individual who has spent countless hours and dedication to the Ozarks Steam Engine Association. 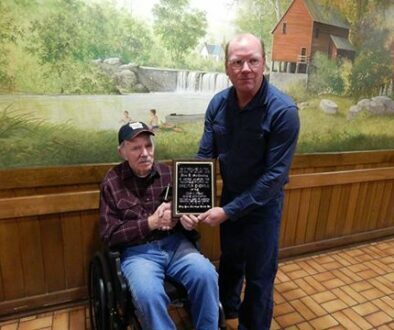 Louie McHaffie has served the Ozark Steam Engine Association for more than 53 years. His guidance and wisdom is greatly appreciated. Thank you Louie for all that you have done and all that you continue to do! The Ozark Steam Engine Association is proud to announce that Jim McCauley has been declared a Director Emeritus. © 2002 - by the Ozarks Steam Engine Association & the Southwest Missouri Early Day Gas Engine and Tractor Association Branch 16.